Operators and Services Providers rely on Carrier Ethernet to dévelop very high speed and low lattency Access Networks and Enterprise VPN Services with best performance and value for money conditions. CXR SWCE range of products delivers 10GE, 2.5GE and GE UNI/NNI accesses. 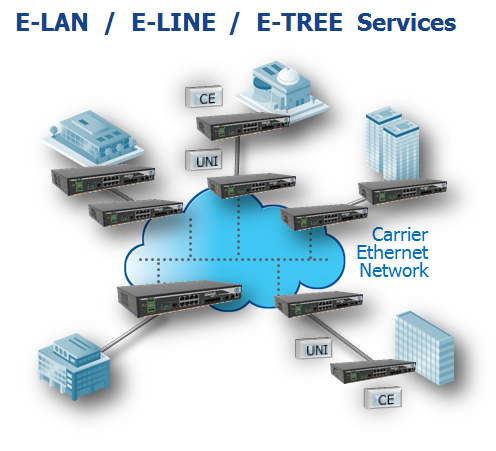 These industry grade equipment enable all MEF CE 2.0 services, E-Line / E-LAN / E-Tree / E-Access and OAM / ERPS / Multi-CoS functions. SWCE is a Layer 2/3 static router for Carrier Demarcation and L2 VPN service aggregation. It provides 8 GE ports, 4 SFP optical ports at GE/2.5GE and two 10GE optical SFP ports.